Here indeed were the seeds of his great novel, A Passage to India; but it would be twelve years before he completed it. 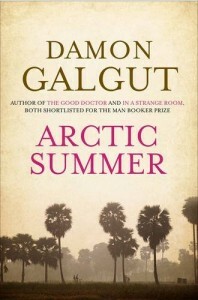 Damon Galgut’s elegant narrative explores its painful gestation. Morgan, 33, is on his way to visit his adored Indian friend, Masood. The world he has left behind includes his controlling widowed mother, Lily, with whom he shares a household in Weybridge, and those of his non-academic peers who are busy running the Empire. He and his travelling companions, three other intellectuals from King’s College, Cambridge, are nicknamed The Professors. Beneath the surface, both as a man and as a writer, Morgan is in confusion. As the narrative unfolds, Galgut reveals a man standing on a tightrope between the lack of restraint he finds in India and England’s ‘deadly properness’, where homosexuality is under wraps. It is, for the modern reader, a tale of excruciating repression and tentativeness. In England, India and eventually Egypt (where Morgan does war work during WWI), all the men he is closest to end up married. Drawing on Forster’s own writings, including diaries and letters, as well as biographies and other work about the period, Galgut tells an elegiac story of closeted male friendship and desire. Whether or not he gets to the bottom of Forster’s soul is another matter. Even Virginia Woolf, who minded about Morgan’s opinion more than almost anyone else’s apart from Leonard’s, couldn’t do that. 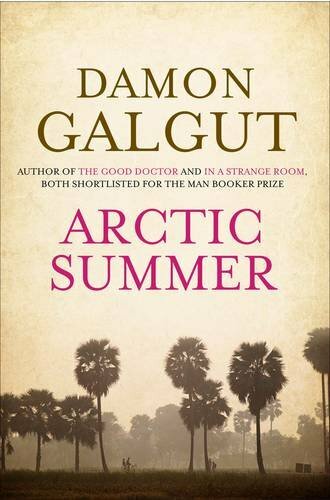 Readers new to Damon Galgut should read his backlist, including especially A Good Doctor and In a Strange Room, both of which were shortlisted for the Man Booker Prize.